This kitchen was a blast! 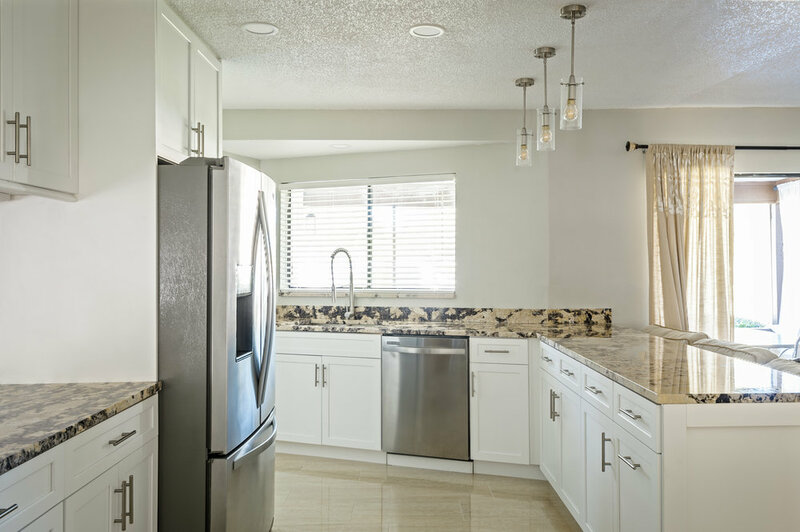 In order to keep the floor plan and give room for storage, DCI created a custom "pass through" design allowing for upper cabinets. This concept allows the space to maintain it's open, friendly look while opening up a great deal more storage. We also installed new drywall, electrical, and plumbing. The lighting in the space was upgraded to provide a more inviting room. 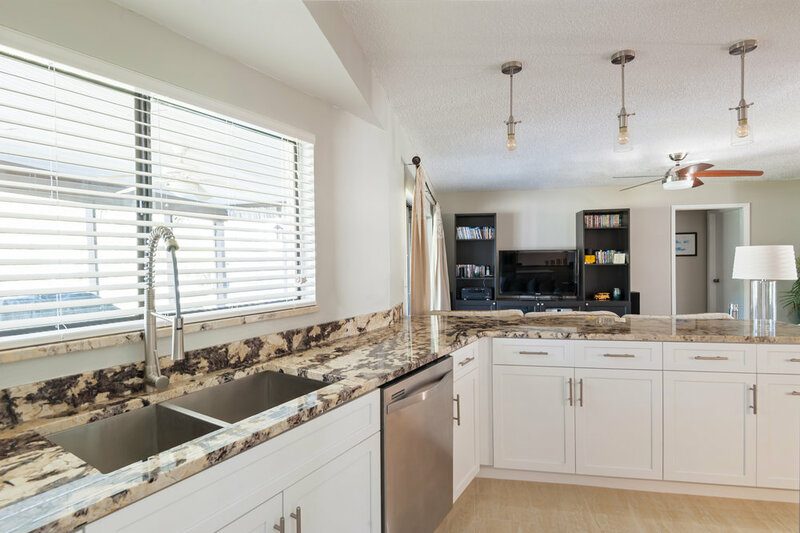 The gorgeous granite counter tops were the finishing touch on this amazing kitchen.